Nursing diploma, Lutheran Medical Center School of Nursing, St. Louis, Mo. BSN, University of Missouri-St. Louis, St. Louis, Mo. MSN University of Missouri-St. Louis, St. Louis, Mo. DNP University of Missouri-St. Louis, St. Louis, Mo. Miriam has been an RN since 1987. She has worked in a variety of roles, including staff nurse and nurse manager in medical-surgical, cardiothoracic and neurosurgery. Miriam has worked as an FNP since 1997 in gyn-oncology surgery — chemo certified, clinic manager retail health, employee health, and public health. 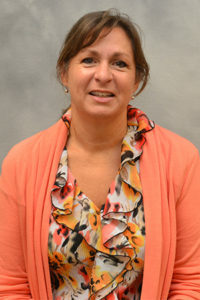 She joined the Sinclair School of Nursing in 2014. “Gain in Knowledge in Third Graders after Brain Power!” Methamphetamine Action Coalition Kids First Conference.Arnold, MO, October, 2012. Poster presentation.